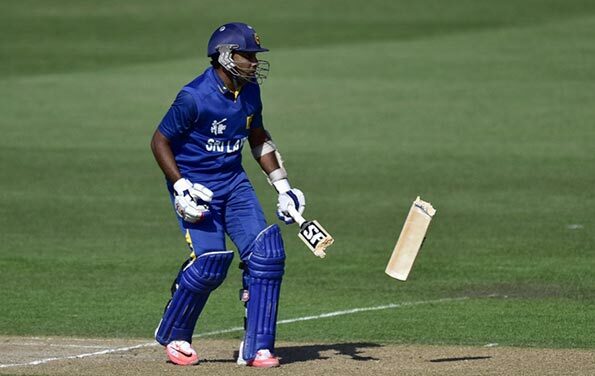 Mahela Jayawardene hit his 19th one-day international century to help Sri Lanka beat Afghanistan by four wickets and avoid a major World Cup upset. Tournament debutants Afghanistan sensed a shock after reducing Sri Lanka to 2-2 and then 18-3 in Pool A in Dunedin. 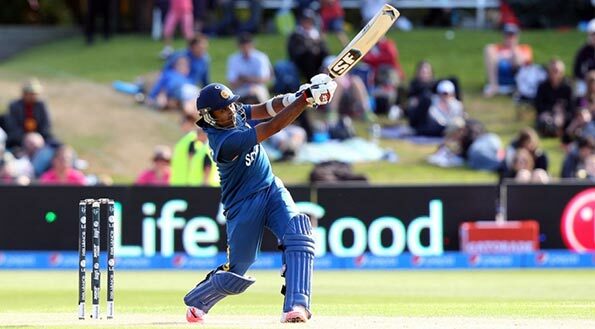 Jayawardene (100) put on 126 with captain Angelo Mathews (44) and although both departed Sri Lanka held on to win with 10 balls left. Asghar Stanikzai with 54 was the top scorer in Afghanistan’s 232 all out. The win was Sri Lanka’s first of the tournament following their heavy defeat by New Zealand in the tournament’s opening match. The 1996 champions made a terrible start to their run chase, losing both openers for first-ball ducks. Dawlat Zadran trapped Lahiru Thirimanne leg before wicket off the first ball of the Sri Lanka innings and fellow pace bowler Shapoor Zadran had Tillakaratne Dilshan caught behind to leave the 1996 champions in a state of shock. Hamid Hassan then bowled the veteran Kumar Sangakkara for seven, leaving Sri Lanka 18-3, and celebrated with a cartwheel and an exuberant wave to the crowd. Hassan grabbed another wicket, that of Dimuth Karunaratne for 23, and that brought the experienced pair of Jayawardene and Mathews to the crease with the score 51-4 after 12 overs. Jayawardene played with the calmness and authority you would expect from a man playing his 433rd one-day international. The pair looked like they would complete victory on their own but Mathews was run out in the 41st over attempting a quick single. Jayawardene brought up his fourth World Cup century two balls later but Hassan revived Afghanistan’s hopes by ending the veteran’s innings just three balls later. 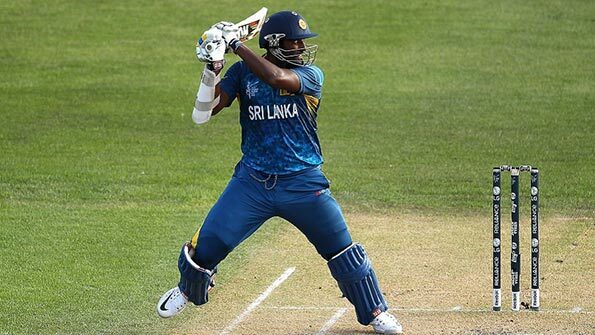 However, Thisara Perera, with an aggressive 47 not out from 26 balls, and Jeevan Mendis (nine not out) came together to finish off the job. The Afghanistan innings, which ended with two balls remaining in the 50th over, was built around an 88-run third wicket partnership between Stanikzai and Samiullah Shenwari (38). It was not until Stanikzai was dismissed by Rangana Herath for 54, with Afghanistan 128-3 in the 28th over, that Sri Lanka started to get a grip on the game. Stanikzai’s dismissal was the start of a collapse that saw Afghanistan lose four wickets for 47 runs in 11 overs, with Sri Lanka’s Lasith Malinga and Angelo Mathews both finishing with 3-41. It was Afghanistan’s fifth-highest score against a Test-playing nation but could have been higher but for their collapse. Sri Lanka go on to face Bangladesh and England during the next week while Afghanistan, boosted by their strong performance against a Test nation, will seek their first World Cup win against Scotland on Thursday.